Should he be confirmed as the 39th director of the United States Mint, David J. Ryder said among his top priorities would be combating sophisticated, high-quality counterfeiting of United States bullion coins. 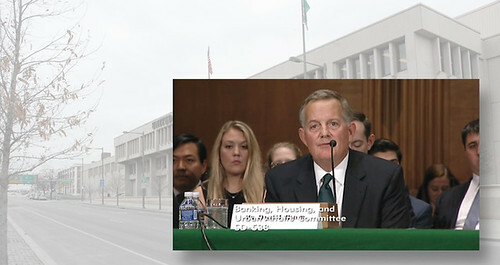 Ryder's remark came in response to a question posed by Sen. Thom Tillis, R-N.C., during Ryder's Oct. 24 nomination hearing before the Senate Banking, Housing and Urban Affairs Committee. Tillis asked Ryder what he believed the future of coins is over the next 20 to 30 years. Ryder responded he didn’t feel coins were going away any time soon, but the Mint has to respond to technology challenges and how they apply to coins and where coins are used in commerce. Ryder has spent the past 25 years in the private sector working on anti-counterfeiting and security measures involving coins and paper money since leaving the government after a 14-month stint as the 34th Mint director. NOW in its SECOND EDITION! Q. David Bowers's popular Guide Book of Washington Quarters analyzes each coin, year by year, from 1932 to 1998, and focuses a comprehensive section on each quarter from 1999 to date. The new second edition is expanded to 352 pages. Order your copy for $19.95, online at Whitman.com , or call 1-800-546-2995.